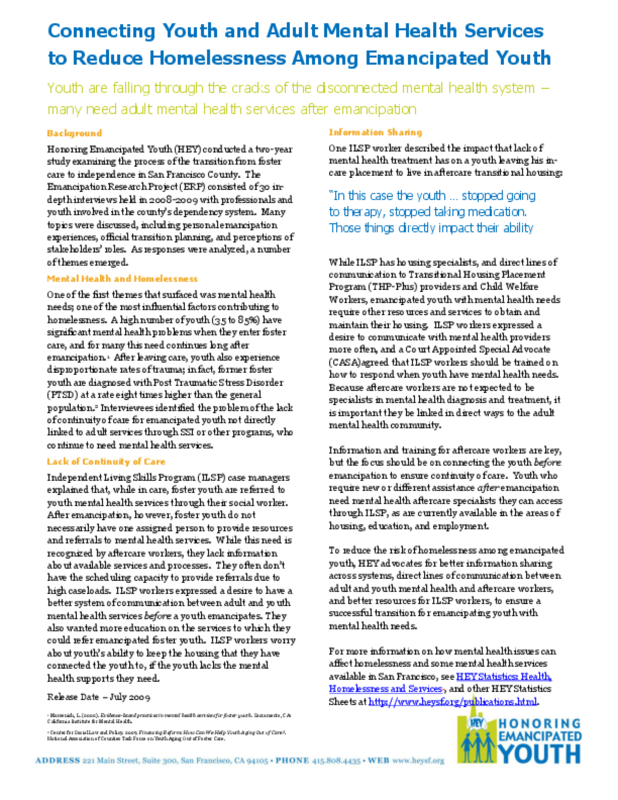 Youth aging out of foster care may continue to need adult mental health services, but unfortunately, because the mental health system is disconnected, youth often fall through the cracks. Copyright 2009 Honoring Emancipated Youth. All rights reserved.